Do you have any plans for entering this year's ETL (representing the Age of Darkness, naturally)? Yes I will take part and I promise to don't pledge crazy stuff like Titans I never finish. I learned from my mistakes..
Haha the Inquisition came along. Cheers fellow Kraut! That last picture really gives an idea of how big that Brass Scorpion actually is! Looking great. How did you do the martian bases? I think it might be the new Martian Ironearth. I haven't tried it myself yet. I start by painting the sand Banblade Brown and the stones Charadon Granite. So a light brown for most of the base and a dark grey for the stones. Then I brush on the hole base Standard Rust Pigment from MIG. I use it dry, directly out of the pot. Blow away all loose pigments and seal it with MIG pigment fixer. When this is dry I go again with pigments, Standard Rust and on some places a little bit Light Rust. Blow away all loose pigments and you are done. The very bright effect comes from the unsealed pigments (also the dark paint scheme helps), the downsied of this is that you will loose some over time, so if you plan on transporting your miniatures I would not recoment to use a foamtray. Better to glue a magnet under the base and transport them in a metal box so nothing comes in direct contact with the base. I love your mechanicum machines. As great as your world eaters. Superb work, briother. Those bases are b-e-a-utiful. The Redjak Cult Mechanicum in all its glory! Once called the Crimson Priesthood and ruler over the Forge World Sarum and most of the Golgotha Sector. 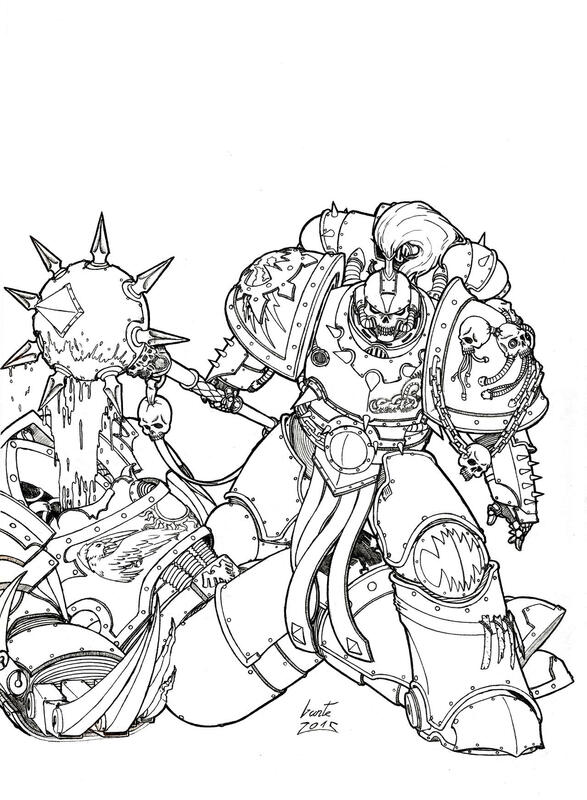 Cropped and rebuked by Angron and his Wolrd Eaters. Now bound under his rule supplying and supporting the 13th expedition fleet in the name of the Warmaster. Glory to the XII Legion! Glory to the Legio Audax! And death to the false emperor! Edited by poom, 30 April 2015 - 06:02 PM. Absolutely gorgeous army, as a lot of others have said already. Everything's just perfectly amazing. Are you going to base that Brass Scorpion? It's gonna be a huge base, but it's in sore need of one IMO! Fantastic army shot, brother. Certainly worthy of display. Edited by poom, 01 May 2015 - 09:01 AM. I'm just echoing everyone else but poom your mechanicum are absolutely incredible! Poom, this thread has become my favorite that I've seen since first following this forum. I can't wait to see what you'll posting next. Very inspiring, if I wasn't about to move, I'd be starting my own World Eater army right now. Did you ever finish Jeddek or the titan (going back a few pages I know)? Those and the other characters from Betrayer are my favorites. Jeddek and Syrghala are both not finished. But now that the Mechanicum got a playable size I might go back to them and other projects I left half done.. I have very exiting news! This is just a fantastically executed army. I think it's the most menacing and scary army I have seen, especially the robots look really nasty! 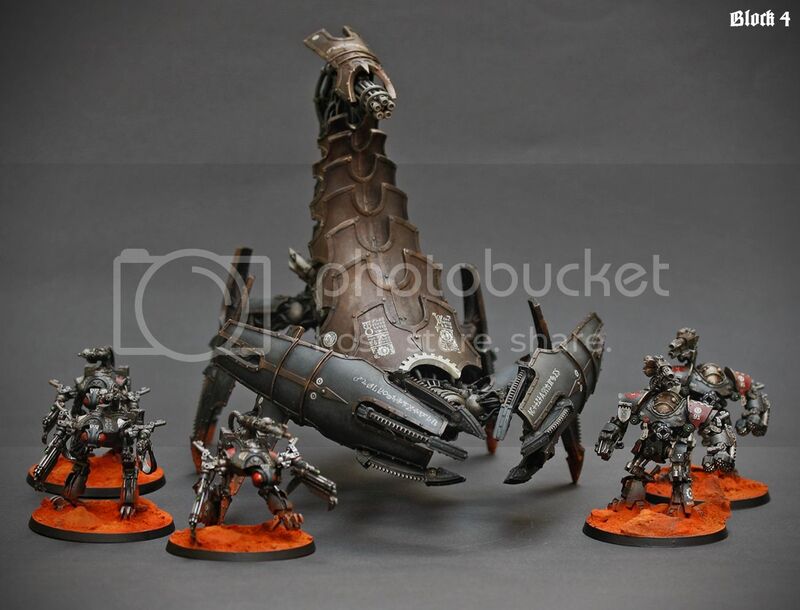 This army is fantastic and that brass scorpion looks amazing. Make me want to go out and buy one for myself. Whilst I saw and commented in Greyall's topic, I'll say again - both the model and picture of that World Eater oozes malevolence! Wow, these are absolutely smashing! It's a great moment, poom, when Greyall illustrates a character you've made. I should know. Enjoy the feeling - it's going to last for a while. Hey man I spent the better part of an hour at work browsin through this and your stuff is amazing! Keep it up man seriously! I've been tempted to add some Mechanicus to my NL's so this might send me over the edge! "If every time the populace gazes toward the night sky and thinks of us, that is the purest victory of all. Fear. And it lasts forever." 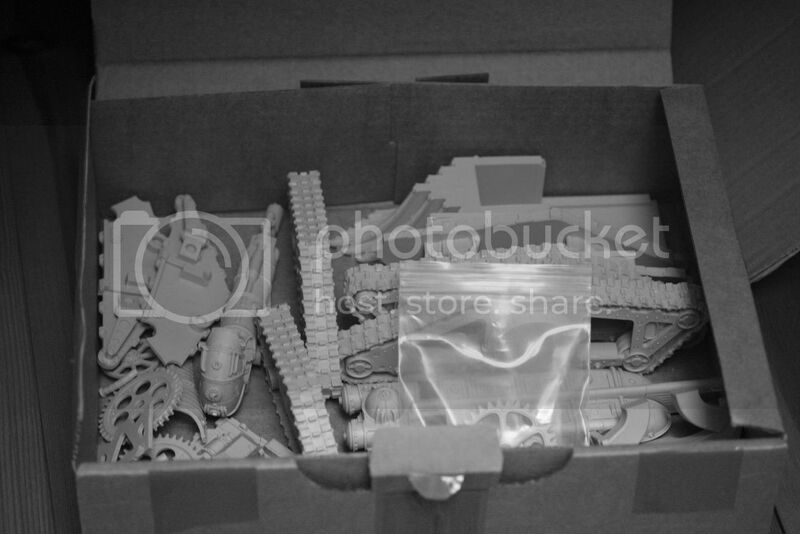 Your Mechanicum force takes my breath away. All of your color choices are so sinister, and everything is so well executed that all I can do is bookmark this thread and use it as inspiration to try to emulate. 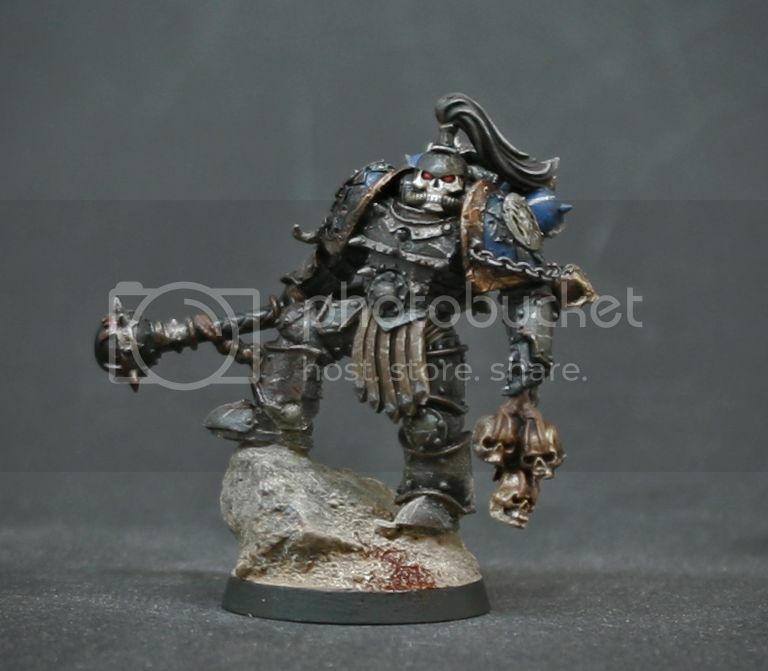 I don't even play 30K, and your work makes me want to buy some Automata! I can vouch for that - twice! You guys rock! Thank you so much for the nice words, you realy keep me motivated! I really love the bright orange bases, contrasting your dark miniatures! Are you doing the gaming board in the same way as the Mechanicum bases?